The Department for Energy and Climate Change (DECC) launched a competition for Local Authorities and Social Landlords to bid for up to £175,000 towards the installation of renewable heat technologies. At the time, this was part of a £3M ring fenced fund from the Renewable Heat Premium Payment (RHPP) scheme. Following discussions with Northumberland County Council (NCC) a decision was made to submit a £96,000 bid to support the £192,182 capital costs of a project to install 15 Air Source Heat Pumps (ASHP) in off-gas properties in Longframlington. Narec Distributed Energy were appointed by Homes for Northumberland (NCC’s Arm’s Length Management Organisation) to provide support in developing the bid and were subsequently also appointed to provide monitoring & data analysis for the scheme. Over a period of 12 months, ending in late March 2013, Narec Distributed Energy evaluated the performance of the technology and end user experience for the RHPP Longframlington ASHP Scheme. Tenants at all 15 properties in the scheme were asked to complete health and wellbeing questionnaires, both before and after the works. Three properties, chosen for being representative of the different archetypes in the scheme, were selected for more in-depth technical monitoring and analysis. This included monitoring living room temperatures for each property, as well outside ambient temperature. Heat pump thermal output and electricity consumption was also metered, to allow for the Seasonal Performance Factor (SPF) to be calculated. Tenants have seen a £557 reduction in their heating costs on average, with the majority now rating their satisfaction with their level of warmth as ‘very content’, having previously been ‘in-adequate’ or ‘adequate’. Before 25% of tenants were switching off their heating to save money, whereas now none do. 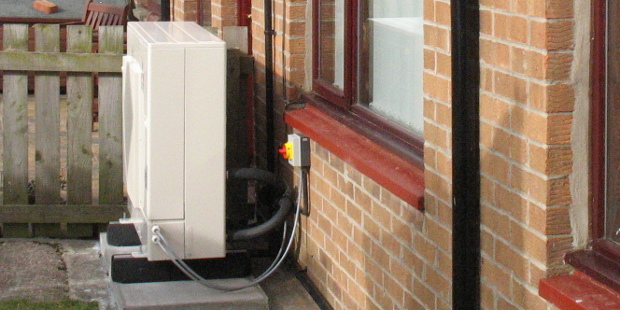 No tenant reported using supplementary heating sources after the installation of a heat pump.